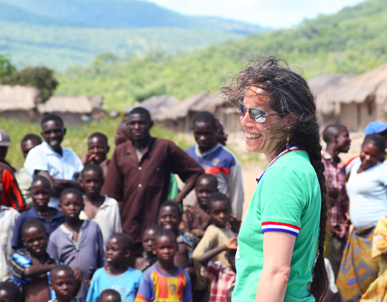 Dr. Amy Lehman is the founder of the Lake Tanganyika Floating Health Clinic (LTFHC). LTFHC is an international organization whose mission is to address the problem of health care access and education for isolated communities in the Lake Tanganyika basin/Great Lakes region in Central Africa. In her role, Amy has become knowledgeable in multiple ancillary fields including water security, food security, environmental conservation, rural development, mineral rights and mining issues, Great Lakes global security issues, and the rural digital divide. 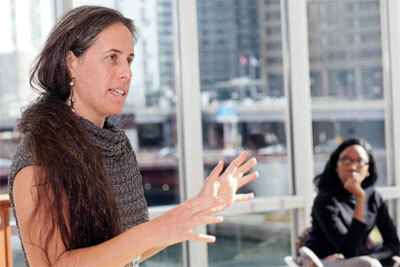 Amy trained in General Surgery at the University of Chicago Medical Center, and during that time, was also a Senior Fellow in the MacLean Center for Clinical Medical Ethics. She has published in the fields of Thoracic Surgery and Bioethics, sat on the Graduate Medical Education Committee during her residency, and been honoured for her dedication to teaching, training, and patient care delivery. Amy graduated with honors in English, Spanish, and the Social Sciences from Choate Rosemary Hall, and received her AB with honors from the University of Chicago concentrating in Fundamentals, a multidisciplinary program involving Philosophy, Literature, and the Social Sciences. She went on to earn her MD and MBA also from the University of Chicago, concentrating in Economics and Human Resources Management. 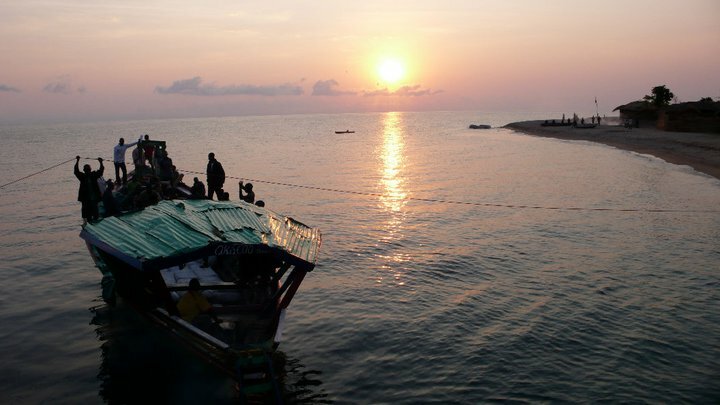 What inspired you to set up the Lake Tanganyika Floating Health Clinic? I went to school with a number of students from Africa and I had always been fascinated by the place. To me, going into the heart of Africa was the ultimate adventure. I travelled around the Lake Tanganyika area by boat a few years back and while there a typhoon caused the airstrip to be washed away, so we ended up stuck! I traversed the coastline and saw there was a large population living around the shores of the lake, in parts of the Congo, Burundi and Western Tanzania, that was completely cut off from the rest of the world. The road systems were poor and there were major supply chain issues. These people had suffered through wars, political upheaval and 20+ years of non-stop instability. There were refugees and internally displaced people. The socioeconomic and public health indicators were terrible. I realised that better infrastructure and better access to basic healthcare would make a big difference. The only way to reach all of those people was via boat and that’s when I had the idea for the Floating Clinic. Was it a long term aspiration for you to work in the developing world? In fact, at the time that I had the idea I was living and working in Chicago, on a career track to become a general thoracic surgeon. I had spent all of my twenties working towards that goal. I loved intensive care and thoracic surgery and after my African travels I returned to that. However, in the US there are many issues with the system which I struggled to reconcile with the conditions and needs I had witnessed in Africa. Sometimes the intensive care unit would be full of moribund patients, having undergone multiple operations and heroic attempts to keep them alive. Elderly people with multiple medical problems requiring intensive support such as ventilation and dialysis. These critically ill patients would be subjected to constant ‘tweaking’ and bedside procedures to keep them alive. In the most part they had a very slim chance of ever leaving hospital and at best they could expect a prolonged stay in a nursing home. I am certain that most of them wouldn’t have wanted that if they could choose. Of course, it’s also extremely expensive to keep people intensively cared for in this way. I did a back of the envelope calculation during a week of ICU night shifts and worked out it had cost over $2 million to keep those patients alive during those nights that I’d been looking after them. Those patients themselves wouldn’t have wanted that if they’d been able to choose and it got me thinking about how the money could have saved tens of thousands of young lives in Africa – neonatal deaths, under 5 mortality, deaths in childbirth, sickness and suffering amongst children and adults. I felt bothered by this and couldn’t stop thinking about it. What was it that eventually spurred the change of career direction? … and I couldn’t stop thinking about Lake Tanganyika and my idea of a hospital on a ship. How did you go about setting up the clinic? I met with government organisations, villagers and people manning health outposts. Things began to come together and make sense. I started from zero, gradually set down the foundations and then went about building things up piece by piece. Most of our employees are from the Congo side of the lake. I met them organically. All are former refugees. All have lived through a lot and suffered. They have resilience and an interest in improving their communities. They’re hard workers, prepared to persist through really difficult situations to make things happen. The Congo is not an easy place to work, but if you want to make things happen, you can. How do you access medical expertise in such a remote area? Our plan has been to work with the ministries of health in the area, rather than bringing in foreign doctors. We want to increase the healthcare capacity around the basin – deliver services where they don’t exist and educate the locals, helping them to increase their own skills and capacities. We do outreach work with local doctors and nurses. We’ve also used some specialists for certain situations. For example, we worked with one of the world’s foremost fistula surgeons to do a big fistula repair, which also gave local doctors the opportunity to learn from his expertise. What role do you see technology playing in improving healthcare in Africa? Telemedicine is great. In fact, I recently wrote a blog piece on technology in Africa. However, it’s not a replacement for mentor/mentee teaching and the human element which of course remains vital. Many of the most pressing issues in the remote areas where we work are related to the infrastructure – simple things like radios, roads, supply chain issues. Technology is great but it’s not the answer to everything. How have you been funded? We’re just a little startup and funding is a constant concern. We can’t go to angels as we cannot offer them any financial returns on their investments. There are only social returns. Instead we receive assistance from small family foundations and some high net worth individuals. The fistula foundation helped with that work. We’re now at an inflection point though. We need to expand our donor base in order to grow. What impact has your work with the floating clinic had in the area? We’ve touched around 300,000 people so far. One good example is all our malaria work, including the supply of bed nets and training community health workers. We’re also installing radios in 8 health centres which are in communications blackspots. We’ve made a huge difference for such a tiny organisation with very little funding. Have you been influenced by any particular role models or mentors? My biggest influence has been my family. We all believe in civic responsibility and have varied interests in international aid and development. I also like to read widely and am constantly inspired by the amazing things people do, be they great scientists, doctors or artists. There are so many people I admire and by whom I’ve been inspired. I think it’s important when faced with big problems that demand change to ask oneself the question “If not you, then who?” I really felt that way about this place in Africa. Has working in the developing world altered your perspective of healthcare in your own country? Certainly I think there are things to be learned from working in a resource-deprived area. I’ve always maintained a critical eye when observing our health system. I’ve also always been interested in healthcare economics and medical decision making. I’m pro-technology and I do believe in advances in modern medicine. However, these advances can often be deployed in ways that don’t make sense. Our healthcare system is not always patient-centred and issues such as fear of litigation and badly aligned financial incentives can be very detrimental. Working in the developing world, with the very different issues faced there, does help you to develop a different perspective. What advice would you give to aspiring social entrepreneurs in heathcare? You will face tough challenges and complex situations and choices. You will have to make compromises. Nothing is perfect. Be smart about the choices you make, be ethical, and always aim to create something that is an improvement on what was there before. Watch Amy being interviewed about the Floating Health Clinic by the WDI Health Research Initiative.